What do you do to unwind after a long, hard day at work? Some of us like to veg out on the couch, drink a glass of wine, or — in the case of some of the world’s top business leaders — practice meditation. Specifically, Transcendental Meditation. Bob Roth, a teacher of the technique and author of the book “Strength in Stillness: The Power of Transcendental Meditation,” joined us to discuss its popularity in the finance industry and some of the health benefits that you can receive from it. David Brancaccio: So the guy who founded the biggest hedge fund in the world, Ray Dalio at Bridgewater Associates, does Transcendental Meditation. He’s proud of it. He is not alone here in the financial services capital of the world? Bob Roth: No, and actually, Ray’s been doing it for almost 50 years, and he says it gives him energy, it gives him focus, it gives him clarity, it gives him creativity. It wakes up the creative centers in the brain. And he also says it allows him to be like a ninja — great term — where everything is coming at him very fast. But inside, it’s coming at him slow motion, and he can really discern, he can really make the correct decisions. It’s really important to him. As a matter of fact, he’s made it available to 700 of his employees at Bridgewater. Brancaccio: And he’s not alone on Wall Street? Roth: No, hedge funds, banks, financial services, institutions, as well as media companies and everyone else. Anywhere stress is a problem and the need to be focused and creative and innovative and a good problem solver — why not? It’s a simple tool and it’s accessible to anyone. Brancaccio: So not just the finance and private equity crowd, I see you were doing something with Jerry Seinfeld — the comedian — the other day? Roth: Again, we live in an epidemic of stress, we live in an epidemic where things are going faster and faster and faster. It requires creativity. Again, focus. Clarity of mind. And stress can overcome that. Stress can cloud thinking. And Jerry Seinfeld is a comedian — has to be on his toes and is alert every moment of the day. So he’s also been meditating for over 40 years, and he says it’s hard enough to get to the top. And people in business will know that it’s much tougher to stay at the top, so he says his 20-minute practice twice a day of TM is a game changer for him. Brancaccio: Bob, the book emphasizes that the approach here isn’t hard. How can it not be difficult? All you have to do to make me think of something is to tell me not to think of something. Roth: There are types of meditation that we hear about. You have to clear your mind of thoughts. You have to believe in stuff. You have to focus and concentrate. Fortunately, that’s not Transcendental Meditation. I like to use the example of an ocean. Waves on the surface, turbulent waves on the surface, the depth of the ocean naturally silent. Our mind is the same, and we’d all like to have some inner calm or inner equilibrium. But where do you find it? Well, there’s the level of the mind deep within; it is already calm. That’s the hypothesis. And in Transcendental Meditation you learn a technique. You get what’s called a mantra, which is a word or a sound from a teacher. Nothing mystical here, just a tool. And then you learn how to use it to access that calm, that settledness, that equilibrium. The results are immediate. The research shows — and there is a lot of published research to show this —they’re long term, they’re cumulative. Brancaccio: Published research — you mean scientific, peer-reviewed? Roth: Peer reviewed in the American Medical Association Journal, American Heart Association Journal. For example, the National Institutes of Health have given tens of millions of dollars to show that Transcendental Meditation is as effective, if not more effective, for reducing high blood pressure and other ailment sides of heart disease than even anti -hypertensive medication — with no side effects. Brancaccio: I know,but you must run into people who are suspicious of this. I remember in the book, when you first started out, you didn’t even want to tell your family members what you were up to outside. Roth: That was back in 1969. Yeah, times, have changed and I think times have changed with the regard meditation has. No. 1, the problem with stress is greater than it’s ever been before. And we also know from medical science it’s more damaging than we ever thought. Second, we go to the medicine chest. “Oh, I’m stressed. What am I going to take?” “Well, fine, you can take Ambien if you can’t sleep, and your child can’t study so you give him Ritalin. All these medications, they have side effects. Or else we self-medicate. Alcohol. Too much coffee. The problem of stress is getting worse. We know we’re on a trajectory that’s not getting better. And why not take a few minutes out of the day and just access that calm, that equilibrium that lies within. So this is done first thing in the morning. You get up 20 minutes earlier, it’s better than sleep. It’s a deeper rest than sleep. And you do it sometime at the end of the day to get rid of stress and you sleep better at night and you enjoy your family more during the day. Brancaccio: Let me just ask one last quick business model question. If you pay to learn how to do Transcendental Meditation, are you signing up like a gym membership and you’re stuck for life? Roth: Transcendental Meditation is actually taught through the Center for Leadership Performance and/or TM.org. It’s a nonprofit organization. You do pay an initial course fee, like you would to do any educational program, and then that’s it for life. And part of the course fee when you pay to learn goes to teach veterans to learn for free. So you’re really contributing to people who really need the meditation and may not have access to it. Follow David Brancaccio, Host and Senior Editor, Marketplace Morning Report at @DavidBrancaccio. 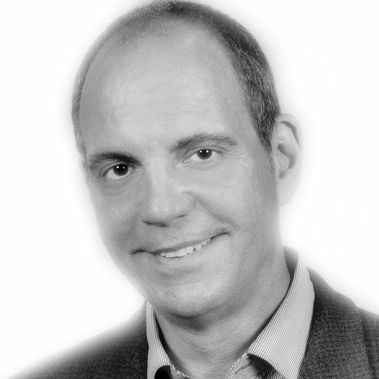 Follow Bob Roth, CEO of @LynchFoundation, Teacher of @TMmeditation, Author of Strength in Stillness, #ChangeBeginsWithin, @meditationbob‏. Watch Robin Roberts and George Stephanopolous interview Bob Roth on Good Morning America about his new book Strength In Stillness: The Power of Transcendental Meditation. Includes links to other interviews. Watch Maria Shriver interview Bob Roth on her show Architects of Change. Listen to the “10% Happier with Dan Harris” interview with “Bob Roth, Meditation Teacher to the Stars,” Episode #122. Also on iTunes; Apple Podcasts: http://apple.co/1pHJh5a; Spotify: http://spoti.fi/2tOEMcB; Google Play Music: http://bit.ly/2mPRAiW. There’s been a strong interest in meditation lately among stressed, high-powered Wall Street bankers, investors, and CEOs. Many extol the virtues of Transcendental Meditation, aka TM. One investor describes TM as “Low investment, High return.” Here are a few of the many articles in such leading publications as Fortune, Forbes, and Business Insider. Some corners of corporate America have long had a culture that wears its long and grueling hours like a badge of honor. Now a group of executives is trying to change that by opening up about how they each found balance in their own lives and by making wellness a priority at their companies. Sommers has now been doing Transcendental Meditation 20 minutes two times a day for a decade. And he prioritizes sleep, getting seven and half to eight hours every night. “I changed my schedule and lifestyle,” he said. “When I do a dinner, we’ll be at the restaurant at 5pm, not at 8pm.” He said his kids make fun of it, but he wakes up every morning “incredibly happy.” If there’s a problem at the office, his employees know to call the house and his wife will wake him up. But rarely is there anything so important that it can’t wait until the morning, he said. “This goes completely against mainstream assumption that J.P. Morgan is the boiler room of burnout,” said Arianna Huffington, the founder and CEO of Thrive Global, who moderated the panel. Forbes, France also covered this topic: Transcendental Meditation: The Secret Weapon of Leaders, which includes this embedded video of Ken Gunsberger, from the Center for Leadership Performance. Writer Catherine Nivez interviewed Wall Street investor and TM meditator Ken Gunsberger who refers to TM as “Low investment, High return.” Vice President of UBS Wealth Management in New York, Kenneth Gunsberger manages his clients’ fortunes, market competition and professional stress. Leonard Stein, TM Teacher representing DLF in Geneva, is also quoted extensively in this excellent article. Click on the link to watch to the rest of the video. Click the title to read the article. If you don’t understand French, use Google Translate. It’s worth the effort. Around eight years ago, Bridgewater Associates founder Ray Dalio introduced Transcendental Meditation to his then—735 employees. Dalio had already established a unique, intense culture at Bridgewater that he likes to say is akin to being part of an ” intellectual Navy SEALs ,” and he believed that Transcendental Meditation (TM) would work as an effective counterbalance. “I did it because it’s the greatest gift I could give anyone—it brings about equanimity, creativity and peace,” Dalio told me via email. Since then, TM has popped into the mainstream, and over the last three years, the David Lynch Foundation TM center has taught almost 2,500 professionals, with roughly 55% of those from Wall Street, and 1,150 of those in 2016 alone. Read the rest of this fabulous article—Transcendental Meditation, which Bridgewater’s Ray Dalio calls ‘the single biggest influence’ on his life, is taking over Wall Street—one of the best yet, and other TM articles archived on their website. Note: I gave Jochen Uebel permission to translate this post into German: Prominente Business-Zeitschriften berichten über Transzendentale Meditation (Prominent business magazines report on Transcendental Meditation). 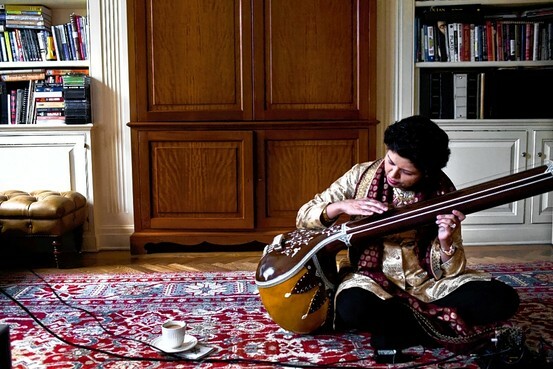 Grammy-nominated musician Chandrika Tandon plays a Tambura, a traditional Indian stringed instrument, in her home on the Upper East Side. She is the quintessential underdog, the unknown. Chandrika Krishnamurthy Tandon, a financial advisor and a trustee of New York University, is also a nominee for the Grammy Award in the Best Contemporary World Music Album category, and she’s up against veterans and superstars of the music world—Bela Fleck, Bebel Gilberto, Angelique Kidjo and Sergio Mendes. Ms. Tandon’s résumé doesn’t exactly read like that of a music diva: A graduate of the Indian Institute of Management in Ahmedabad, she was a partner at the corporate consulting firm McKinsey and Company before founding Tandon Capital Associates in 1992. Apart from her work at NYU, she is a board member of the American India Foundation (AIF) and the founder of Tandon Foundation. There’s not a musical note in there—she’s better known on Wall Street than in Woodstock. The Journal spoke with Ms. Tandon about mixing business with music and the prospect of taking home Grammy gold on Feb. 13 in Los Angeles.What was your reaction when you heard of the Grammy nomination? Utter shock and wonder. I have such gratitude that the community of music industry folks has taken the time to listen to an unknown. What it’s done is made the music accessible to so many more people than would have heard it otherwise. Was music a big part of your growing up years in India? We lived in a joint family where everyone loved to sing, and music would always be playing on the radio. When we had power cuts, my sister, brother and I would sing in the dark—we didn’t care how long the power cuts lasted! (Ms. Tandon’s sister is PepsiCo CEO Indra Nooyi.) We were a simple family where education was so important. Music was my soul but I chose to pursue a career in business. Tell us about the journey from business success to composing ‘Soul Call’? Ten years ago I realized that the happiest moments of my life were tied to music and decided to make it center-stage in my life. I searched far and wide to find great masters to give me a rigorous grounding in classical Hindustani music and devoted hours of study despite my tough work schedule. This whole journey has been about going deep into myself, of viewing the world through a kaleidoscope rather than a single lens. We have one short life, are given certain resources and have an obligation to use them. It’s all about giving back, and sharing. That’s why all proceeds of “Soul Call” go to community-building causes. How have your worlds of business and music intersected? Music keeps me centered at my deepest level and has made me a more expansive person. I am learning every day that it is easy to radiate grace if you can find it within. This journey has also helped me redefine my concept of perfection—many birds in the forest can sing sweetly even if they are not all nightingales…. we have to honor them all and it does not compromise excellence. After listening to ‘Soul Call’, some of my most reserved business acquaintances are much more forthcoming about their passions and their spirituality, and I hope some have been inspired to actively follow their dreams, even as a second innings. How much has music affected your life as a New Yorker? I am a New Yorker inside and out, having lived here for 31 years. I get to listen to all the great Western and Indian musicians more easily here—and sometimes go to the same concert many times! I just love the city, and am very involved in great institutions here, like NYU, where I get to work with some of the greatest minds ever. One of my great passions is a community choir which I founded and conduct for the seniors in the Queens Hindu temple. We perform ancient Sanskrit chants set to rocking western harmonies, using Indian classical and western vocal training techniques for people who have never sung before. Each session is a shared celebration. With the Grammy ceremony just days away, what are your thoughts on winning—or not winning? When ‘I’ was there, the Divine was missing. When ‘I’ left, the Divine took over. So the quest is to lose myself and go with the flow. Also see: Chandrika Tandon Concert to Benefit 1000 Maharishi Vedic Pandits Launches Global Peace Initiative, Global Peace Initiative: 13 Questions and Answers with Ramani Ayer, and Chandrika Tandon Benefit Concert in Iowa Helps Launch Global Peace Initiative. 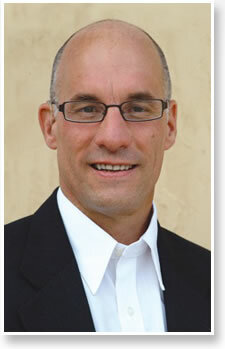 Recently, I had the pleasure of speaking with Stephen J. Hopson, transformational speaker and author. The cover and title of his book, Obstacle Illusions: Transforming Adversity Into Success, caught my eye. Born profoundly deaf, and a risk-taker, he’s managed to accomplish a lot in his life so far. How did he do it? 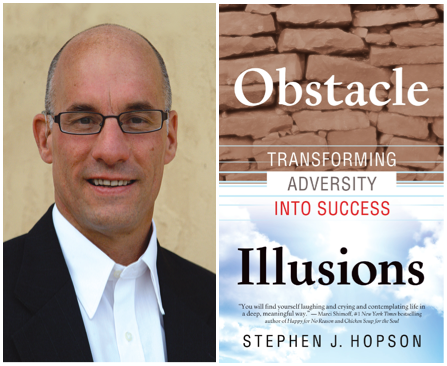 Mike Ragogna: Stephen, how did you come to write this book, Obstacle Illusions: Transforming Adversity Into Success, and what do you mean by obstacles being illusions? Stephen J. Hopson: Well, Mike, this book has been in the making for the last 10 plus years. I began writing soon after quitting my lucrative 6-figure career on Wall Street. Eventually my writings morphed into a bunch of stories, a few of which were submitted and subsequently accepted for publication in books like Chicken Soup for the College Soul. That boosted my confidence and eventually I ended up with a manuscript for a book. Based on my experience, obstacles are illusions. They are all in the mind. Yes, we certainly have challenges but how you perceive them will determine the way you deal with them. For instance, are they truly obstacles/problems, etc.? Or are they opportunities in disguise? I choose to see them as opportunities in disguise and learning experiences. MR: You were born profoundly deaf. How did you learn to speak so well? SJH: For about 20 years I’ve had speech therapy one-on-one with a speech therapist in school and during the earlier years in elementary school, with my mother. I was told by one of my reviewers that one of the most fascinating stories in the book was about how I learned how to speak and lip-read. I enjoyed spending time with my mom in the afternoons after school, looking through picture booklets and learning how to pronounce words. I’d spend one hour with the school speech therapist and then another hour or two with my mom after school. MR: Early in the book you talk about how difficult it was being deaf and that you had a hard time dealing with it. Who or what helped you overcome this challenge? SJH: One of the most powerful defining moments was when my fifth grade teacher said three simple inconsequential words that forever rocked my little world when I bravely raised my hand to answer a question she asked the class one day. That’s when I realized I was smart after all and that I’d one day make a place for myself in this world. I still remember the incident as if it happened yesterday. Read the rest of this fascinating interview here in The Huffington Post. Today, March 17, 2011, was the National Book Launch. It turned out to be a lucky day for Stephen, being St. Partick’s Day. Obstacle Illusions peaked at #355, out of 8 million titles, on Amazon’s Bestselling Ranking, #4 in Books on Happiness, and #13 in Books on Success! So we can now say Stephen Hopson is a best-selling author! See related posts on Stephen Hopson here. I had contacted Stephen and offered to proofread his book. It was a very inspirational read. We soon met, and, like so many other people, I offered to help. When you work with Stephen you soon discover that all things are really possible with him; there are no obstacles, and if there are, they do turn out to be illusions. Collaborating with Stephen continues to be a blast. I hope he fulfills his dream to become a #1 bestselling author. If anyone deserves it, he does. And thanks to Mike Ragogna for this great interview! Buy the book for yourself. Buy it as a gift for a friend. Buy it today, if you can. Thanks. Is Wall Street ready to embrace spirituality? Its new neighbor thinks so. The Center for Leadership Performance moved into the historic American Bank Note Building, one block from the New York Stock Exchange, to teach the Masters of the Universe the power of transcendental meditation techniques. “People working under enormous stress don’t want to self-medicate through drugs and alcohol,” said Robert Roth, executive director of the center. About 100 people attended two seminars there on Friday — a sort of meet-the-neighbors open house. The center promotes the benefits of meditating for 20 minutes, twice a day, including increased creativity, lessened stress, enhanced ability to focus and reduced blood pressure. The meditation is also said to help a person achieve their professional potential. “It’s not just a relaxation technique,” said Roth. Ray Dalio, who heads Bridgewater Associates, is among the financial firm bigwigs who have embraced transcendental meditation. He spoke about how it increased his employees’ clear thinking. He believes in it so much he pays half of the costs for his employees, and then pays the other half if they stick with it longer than six months. Training costs begin at $750. “The proof is in the pudding,” Dalio said of the performance-enhancing techniques. Attendees at the seminar seemed ready for a spiritual awakening. “I really want to learn meditation, but I don’t know how,” said Desiré Carroll, a manager at Deloitte who plans to take lessons. Cory Miller, a trader, came to the seminar after a client recommended it as a stress reliever. “Everyone doing it, they have a glow and they seem happy,” said Miller, 22. Copyright © 2009 amNewYork. All rights reserved.